This is the second straight increase in jet fuel rates in as many months. 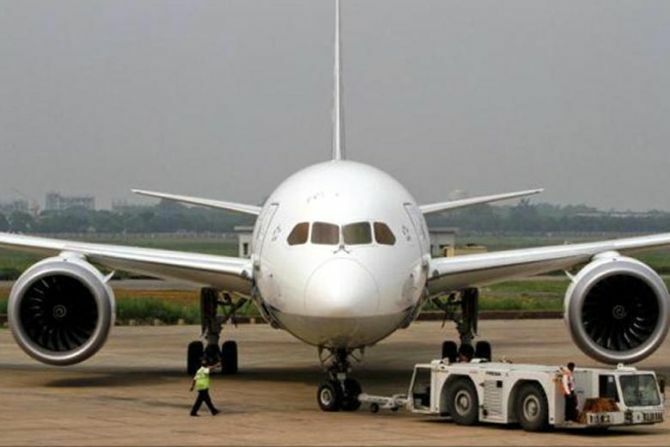 Jet fuel or ATF price was on Friday hiked by a steep 7 per cent to a four-year high, while subsidised cooking gas LPG rates increased by over Rs 2 per cylinder, reflecting trends in the international oil market. This is the second straight increase in jet fuel rates in as many months. ATF price was on May 1 raised by Rs 3,890 per kl (6.3 per cent) to Rs 61,450 per kl. The two hikes have taken jet fuel rates to their highest level since May 2014. Simultaneously, oil firms raised the price of subsidised LPG to Rs 493.55 per cylinder from Rs 491.21 in Delhi. It now costs Rs 491.31 in Mumbai and Rs 496.65 in Kolkata. A household is entitled to 12 cylinders of 14.2-kg each at subsidised rates in a year. Any quantity beyond that is to be bought at market rate. The price of market rate LPG or non-subsidised cooking gas was also hiked by Rs 48.50 per bottle to Rs 698.50. The increase comes on the back of five monthly reductions since January. Non-subsidised LPG was priced at Rs 747 per 14.2-kg cylinder on December 1 and rates were cut in every subsequent month to reach Rs 650.50 in May. Also, kerosene price was increased by 26 paise following the monthly practice of raising rates marginally every month with a view to eliminating the subsidy. While Delhi has been declared a kerosene-free city, a litre of the fuel costs Rs 25.03 per litre in Mumbai now, up from Rs 24.77 previously. Oil companies have since July 1, 2016, been raising the retail selling price of PDS kerosene by about 25 paise a litre. Rates have since then risen by Rs 10 per litre. A litre of kerosene used to cost Rs 15.02 on July 1, 2016, in Mumbai and now costs Rs 25.03. State-owned fuel retailers revise rates of ATF, LPG and kerosene on 1st of every month based on average international rate and rupee-US dollar exchange rate in the preceding month.